In honor of Thanksgiving and to give thanks to our readers, Autumn Macarthur, Marion Ueckermann, and Alexa Verde are happy to offer a new giveaway. Many thanks to Paula for hosting it! 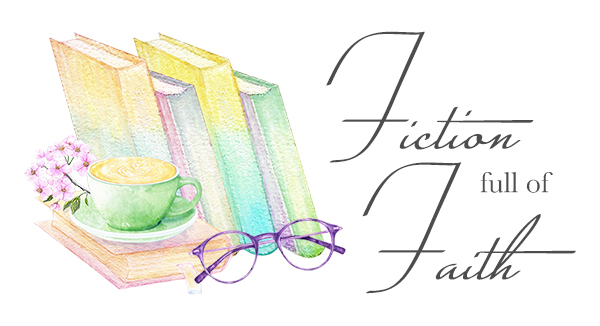 One randomly chosen commenter to this post will receive featured paperbacks: Rapsodia by Alexa Verde https://amzn.to/2OS4CFP , The Wedding List by Autumn Macarthur https://amzn.to/2qY600a , and A Hero for Heather by Marion Ueckermann https://amzn.to/2DPA5HM , or the winner’s choice of our published books (one from each author). This giveaway is open to entrants in the U.S. only. If the winner is international, they will receive ebooks. The giveaway is open until 6 p.m. CST December 4th, 2018. The winner will have 72 hours to claim the prize. What are you thankful for? And what’s going to be on your Thanksgiving table? We look forward to reading your comments! Alexa Verde. First and foremost, I’m thankful for God’s love, mercy, and grace. The beginning of my morning prayer is “Lord, thank You for this wonderful new day and please help me live it according to Thy will. Amen.” But I’ll admit that as I go through my day, I forget to be grateful. To say thanks for the fact that I can breathe air filled with scents of grass and wildflowers, for warm sun rays, for a simple hello from a stranger, and yes, for a delicious slice of cheesecake! And I want to remember it always. I’m so thankful for many wonderful people Lord put in my path. And for you, our amazing readers and all support you’ve given us throughout the years. Autumn Macarthur. LOL, Alexa expressed it so perfectly, I feel like simply saying, “What Alexa said!” Apart from missing cooking eight pans of cornbread for stuffing. Oh my! That must have been a truly huge turkey! I’ve never cooked or eaten a Thanksgiving meal, as I grew up in Australia then moved to England, and neither country celebrate the holiday. But thanksgiving with a little T, a habit of gratitude, that’s something I believe everyone needs no matter which part of the world they live in. It’s so easy and so human to focus on what’s wrong in our lives. And yet giving thanks has an amazing power. If I stop for just a moment even on the worst day when it feels as if everything is a mess, take a breath, and thank God for all that is good, something tight and hard in my heart opens up to Him, like a flower lifting its head to the sunshine. And there really is always something good, from fresh water to drink to the tree outside my window and the amazing gift of life itself. When I give thanks for those simple things, He lifts me and carries me and helps me to deal better with what’s bad. Marion Ueckermann. Unless you’re an American, which I’m not, Thanksgiving isn’t celebrated in South Africa where I live. But our Christmas meal is very much like a Thanksgiving meal, complete with turkey, stuffing, and loads of veggies and potatoes (roasted, thank you very much!) on the side. And of course, followed by some kind of delicious Christmas pudding or dessert. Cooking that Christmas Eve meal and celebrating with my family is one of my most favorite things to do each year. And I’m really looking forward to it this year as I’ll have both my sons home for Christmas. On being thankful, I love Philippians 4v8. “Finally, brothers and sisters, whatever is true, whatever is noble, whatever is right, whatever is pure, whatever is lovely, whatever is admirable—if anything is excellent or praiseworthy—think about such things.” It’s as Autumn said, thanking God for what is good on a bad day does something deep down inside of you. Last year, I did a Gratitude November meme for each day. This quote from Jean Baptiste Massieu (translated from French) is very apt in light of the above and the purpose of this post: Gratitude is the memory of the heart. So right now I’d like to pause and remember the things most dear to me that I’m grateful for each day—my amazing husband, my wonderful sons (and their wives), my gorgeous grandsons who give me hugs and kisses and giggles every day (how fortunate I am to having them living right next door), the rest of my fabulous family, my house, warm bed (and a ceiling fan that keeps me cool in summer), good food on the table each night (even when it’s baked beans on toast), being able to do what I love best each day and that is write, and each and every person who reads my books. Finally, and most importantly, I want to remember Jesus, the One who loves me more than anyone mentioned above does…and the One who gave more, just for me. Previous Christmas in July Tri-author Paperbacks Giveaway! Christmas in July Tri-author Paperbacks Giveaway! And we’re thankful for you!!! We’re certianly thankful for you, Paula! Loe your blog, and you! I am thankful for my family and friends who are praying for me during my journey with cancer. Ah, Lois…I am so sorry to hear about your journey. I promise I will keep you in my prayers as well. Thank you for sharing, Lois. Never forget that Jesus walks that road with you. Praying for you. I love that morning prayer, Alexa!! And thank you so much for the giveaway, ladies! Happy Thanksgiving!! Completely agree, Diana! Thanks for stopping by! Thank you so much, Diana! Sometimes I’m so reluctant to get up that prayer comes a little later in the morning. Truly our pleasure to do the giveaway. Happy Thanksgiving, Diana! Agreed, Diana! It’s a wonderful way to stay a new day. I hope your Thanksgiving is happy and blessed. I am thankful for God’s boundless, extravagant, reckless love for me. I am thankful for my husband who supports me in every endeavor I try. I am thankful for my children and grandsons. On my table for Thanksgiving, will be my family favorites – Sausage Cornbread Dressing and English Pea Casserole. Beautiful sentiments, Edwina! I love that dressing as well – my favorite! The English Pea casserole sounds delish! So wonderfully said, Edwina! And Sausage Cornbread Dressing sounds delicious! Thank you so much for commenting. Beautifully put, Edwina! His “boundless, extravagant, reckless love” – it’s just so amazing and such a huge limitless blessing! Those family favorites sound wonderful. Have a lovely day! Oh I love those two little words … reckless love. It knows no bounds. Have a wonderful Thanksgiving, Edwina. I am thankful for my family and our health. On the table will be smoked turkey (would be roasted turkey if I had my choice) cornbread dressing, sweet potatoe souffle, cranberry relish and homemade fudge. Hi, Perrianne! So good to see you here, thank you for participating! I prefer a roasted turkey too! Thank you very much for stopping by, Perrianne! And your Thanksgiving table sounds awesome, especially homemade fudge! Hoping your day and your celebration are bountifully blessed, Perrianne! Ooh, that all sounds so yummy, Perrianne. I’m getting pretty hungry 🙂 Happy Thanksgiving. I am thankful that I get to wake up each day. I am grateful to my husband who helps me and loves me and to our Heavenly father,son and Holy Spirit. I am truly grateful for waking each day, too, Linda! Hopefully The Good Lord still wants me down here for His service a while longer! Thank you for sharing, it is always a pleasure to hear from you! And we’re thankful for all your support, Linda Rainey! Thank you so much! Hi Linda! Thank you for your wonderful support of Christian authors. I hope your Thanksgiving celebration is joyous and blessed. I’m thankful that you get to wake each day, too, Linda. You’re a wonderful support to Christian authors. Have a wonderful Thanksgiving. Lovely things to give thanks for, Jackie! Happy thanksgiving! Most of all, I’m thankful for family, even though we don’t get to see them often. I’m also thankful for new meds that treat MS even though it’s very expensive, it slows the progress. And I’m thankful for electric since we had a ice storm move through last week. Some nearby is still out. It got down to 47 degrees in the house before it came back on. Amazing how many things that need electric.Thankful that hubby and I will soon celebrate our 45th Wedding Anniversary. Oh my! Much to be thankful for, Nancy. Praying for your health, and for your Thanksgiving and wedding anniversary to be wonderfully blessed. Thanks for sharing, Nancy. Have a blessed Thanksgiving (and anniversary). Congratulations on your Anniversary, Nancy! Continued blessings on all you are thankful for! I hope you have a beautiful and blessed Thanksgiving, Lual. You are so kind, Lual, and all the credit goes to these three amazing authors! I am blessed to be a part of it all! Hope you have an amazing holiday! Thank you for sharing, Lual. Have a blessed Thanksgiving and all the best in the giveaway. I am thankful for my son’s safety as he works and that he returns home safely. He is a police officer. We are having a delicious traditional Thanksgiving dinner. Praying for your son, Deanne Patterson! And wishing you a very Happy Thanksgiving with your family! Blessings to your son, Deanne, I pray for all the boys in blue daily! That is certainly something big to be thankful for, Deanne. Have a wonderful Thanksgiving with your family. Have a wondeful family celebration, Deanne. And I’m praying for your son’s continued safety. What blessings you bring to all of our lives with Christian fiction books. I love them and pass them on to others who may see Jesus through your writing. I am always looking for new authors! Bless you, Patti, for sharing the love of these awesome authors! Thank you so much for sharing our books, Patti. So glad that you have been blessed by our stories. Happy Thanksgiving! Thank you, Patti! Our prayers for each book are to touch hearts and minds for Him. I’m grateful you share our books. First of all, I am very thankful for the gift of salvation that Jesus provided on the cross. I am thankful for my family and those who will be around our table for Thanksgiving. I am very thankful that when I read one of your books, I don’t have to worry about there being something in there that will be inappropriate. Bless you all. Amen to all of those blessings, Marie!! We aim to write God-honoring, faith-filled books that will bless our readers. Thanks for encouraging words, Marie. Have a wonderful Thanksgiving. Thank you, Marie! Praying you and your family enjoy a joyous Thanksgving celebration. wonderful things to be grateful for, Rory, I whole heartedly agree!! Best of luck in the giveaway! Thank you for your comment, Rory. Yes, we need to be thankful for everything, every day 🙂 All the best in the draw and Happy Thanksgiving! So true, Rory! Giving thanks isn’t important just for one day of the year, but for every day. Hope you experience many more of God’s bouuntiful blessings as life continues. Amen! Prayers your Thanksgiving and your life is bountifully blessed. Those are truly great things to be thankful for! Thank you very much for commenting, and best wishes in the giveaway! I am thankful for each day that I wake up in my right mind with the use and activity of my limbs. I am thankful to God for peace and for every provision. I am thankful for my family and love ones that God has placed in my life. I especially am fond of the children that I get to teach praise and worship songs to from ages 3 to 8 in the Children’s Sanctuary at my church. This Thanksgiving I will have a hearty feast of turkey, a roast, candied yams, collard greens, macaroni and cheese, stuffing and to top it off with sweet potato pie. This meal will be joined with family and friends as we take time around the dinner table sharing and reflecting on what we are most thankful for. That sounds so wonderful, Nkenge, enjoy your beautiful family! That sounds amazing, Nkenge. Enjoy the time with your family. Happy Thanksgiving! Wow! A wonderful list of blessings. Thank you so much for your great attitude, Nkenge. Prayers for you, your family, and the children you teach. May you continue to enjoy bountiful blessings. I am most thankful for my Savior who keeps us safe! Living in the middle of California with fires raging around, I would never take safety for granted. Praying for all those affected, who lost everything. Oh my, I have been so sad to see what is happening there, praying for all of your safety! Stay safe, Natalya. Wishing you a wonderful Thanksgiving. Amen! Praying for you, too! Have a safe and Happy Thanksgiving, Natalya! Praying, Natalya! For you, the firefighters, and for all affected by the fires. And praying your Thanksgiving day is joyful and blessed. Thank you so much Autumn! I am thankful that tomorrow is my birthday and we are going out to eat. So there will be nothing on my table and no clean-up either. Happy Birthday, Janet! Many blessings!! Happy birthday and Thanksgiving, Janet. Eating out … great choice! Wow! Happy Birthday, Janet! Wishing you lots of love and happiness! LOL, that’s a great birthday gift, Janet! Hope you have a wonderful day, and a wonderful year to come. Thank you Paula for all you do! And thank you ladies for this giveaway. It’s awesome. I’m thankful first for Jesus Christ who died for my sins, but rose in glory waiting to bring us home. And for a roof over my head, food in the pantry and clothes. I’m thankful for my husband, children, grandchildren and great grandson. And very thankful for all of you, my family of friends on these sites, who have given me joy and someone to share the good and bad in my life. Happy Thanksgiving to all and have a wonderful and blessed day! Thank you, Kathy, for always being such a lovely support to me! I am so happy to hear you will be with family, always have you and Dan in my prayers!! Oh those cookies sound divine, Kathy. Have a wonderful Thanksgiving with your family. Awww, and we’re very thankful for your support! Your Thanksgiving sounds wonderful. Wishing a very Happy Thanksgiving to you and your family! A lovely list, Kathy! Prayers for a joyful and blessed family celebration tomorrow. And we’re thankful for Paula, too. She’s a sweet and dear friend! I am thankful for my loved ones near and far. It is been a tough several years for my family. I am grateful for time and not wasting the moments with them. We decided to order a meal for this year. We want it to be stress free as possible. If will be my mom, sister, niece and myself this year. Enjoy your Thanksgiving with your family, Sonnetta. So wise to redeem the time with your family…it’s the best gift you can give each other. Happy Thanksgiving, Sonetta! And thank you so much for sharing. It’s true, the time with family is so precious. Hugs on the challenges your family has faced, Sonnetta. Praying you enjoy a period of of peace and joy from now on, and that the meal tomorrow is a blessed family time. Stress free is always best, Sonnetta, enjoy having your family around!! Thanks for the opportunity! I’m thankful for growing closer to the Lord this year, a new job for my husband, and our church for paying for a brand new AC/heating unit plus a new bathroom floor!! The Lord has been good and faithful, as always. The Lord is good! Thank you so much for sharing about all these wonderful things, Lila Diller. Happy Thanksgiving to you and yours! Thank you so much for sharing all the blessing you have had this past year, Lila! May they continue on and on!! He is good indeed, Lila. It’s so lovely when we see the wonderful evidence of His care of us in our lives. Growing closer to Him is always the best blessing of all! I am thankful that all three of my boys and their families will be able to be with us for Thanksgiving. This is the first time that’s happened in quite a while, so I hope my middle son gets over his stomach flu QUICKLY, and can still make it! How lovely, Pam! Praying he has a very quick recovery so you can all be together! Happy Thanksgiving, Pam, and thank you for sharing! Praying for your middle son’s soon recovery! Oh, goodness, Pam. Praying your son recovers FAST! Oh, I feel your excitement, Pam. I’ll have both my boys and their families for Christmas this year. We haven’t all been together for Christmas in three years. Have a happy Thanksgiving with your family. Hope they all make it. I’m thankful for my salvation, my family, and my little electric heater underneath my desk. We’ll probably have turkey sandwiches on Thursday. We had a big dinner with our church already. LOL, I love that, Lisa! those little things like heaters can mean so much to our daily lives!! Blessings to you! Thank you so much for sharing, Lisa Stillman! And so true, those little electric heaters can be so useful. I don’t know if it’s just me, but it feels unually cold herel. Happy Thanksgiving to you and yours! Thanks for the reminder to be thankful for the small blessings, Lisa. They make such a difference! And it’s really so much harder to feel grateful and joyous with cold feet. Prayers for you and those you love. It’s the little things in life that count 🙂 Thanks for sharing, Lisa. Have a wonderful Thanksgiving! Lisa, you’re the winner! Congratulations! This was a very enjoyable post. Happy Thanksgiving to you all! Hello, Linda Horin! So glad you liked it! And Happy Thanksgiving to you, too! You too, Linda! I hope your Thanksgiving day is blessed and joyful. Yes, Linda, it is always a pleasure to learn more about our favorite authors! Glad you enjoyed the post, Linda. Have a happy Thanksgiving! Happy and blessed Thanksgiving. Thank you for sharing. Same to you and your family, Lucy! Thanks for commenting, Lucy. Have a wonderful Thanksgiving. Happy and blessed Thanksgiving. Thank you for sharing. I’m thankful for my salvation and my family. Hi Lucy! I love that name. I must write a story with a heroine named Lucy soon! Our salvation and our families are the greatest gifts of all. Praying your Thanksgiving is beautifully blessed. Thanks for sharing, Lucy. Have a blessed Thanksgiving. I’m thankful that I still have my 94 year old Mom with me. She’s not only my Mom, she’s my best friend, other than Jesus. I’m thankful that though my Dad is not here, he’s with Jesus and I’ll see him again, someday. Trudy, cherish every moment. I lost my mom and dad three years ago (33 days apart). I miss them terribly, but knowing they’re in heaven, happy, healthy, dancing, and rejoicing … well, it makes the loss so bearable. I can’t wait to see them again in heaven. Have a wonderful Thanksgiving. Hugs, Trudy. Hoping your mom is with you for many more years to come. And it’s a blessings knowing we’ll see our loved ones again. I’m thankful for my family, and a comfy home that keeps us warm in the cold months (it’s currently 12*F! ), among many other things. 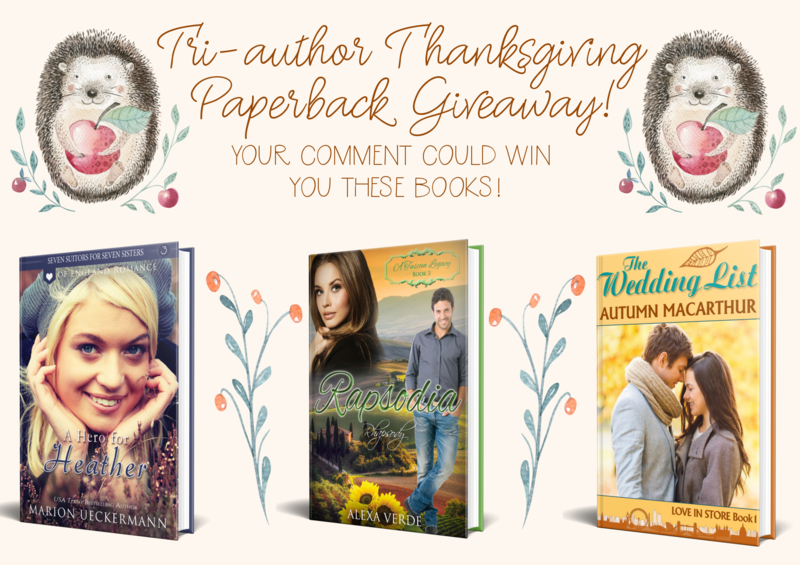 I’m also thankful for you, Paula, Autumn, Alexa, and Marion, and this giveaway opportunity! Dinner tomorrow is a huge feast: roasted turkey, stuffing, mashed potatoes and gravy, yams baked with brown sugar, cinnamon, whole berry cranberry sauce, and pecans, dinner biscuits from scratch, roasted mixed vegetables with garlic and herbs, sparkling apple cider to drink, and apple and pumpkin pies for dessert! Planning to have lots of leftovers, for sure! lol We’re blessed beyond measure! I AM Thankful for Jesus For My Family and Our Health so Thankful For You Wonderful Authors! Happy Thanksgiving! Thank you, Sarah! Hope your day is wonderful! Thank you, Sarah. We’re thankful for our wonderful readers 🙂 Have a happy Thanksgiving. I hope you’ve had a lovely day, Sarah. We’re thankful for our sweet readers like you! I AM THANKFUL FOR JESUS MY FAMILY AND OUR HEALTH THANKFUL FOR MY FAMILY AND FRIENDS HAPPY THANKSGIVING TO ALL ! I am thankful for my husband and the 32 years we have had together. I am thankful that my sisters (3) know the Lord and am praying for the rest of our family. God has been faithful and with us through all our trials and has blessed us a lot. Bless you, Vivian! Thank you for sharing! Thanks for sharing, Vivian. Have a wonderful Thanksgiving. That’s wonderful, Vivian. God certainly is faithful. Praying for your family. Amen! Thank you so much for sharing, Vivian! Thank you so much, Maria! Hope you did as well! Thanks for your wishes, Maria. Hope your Thanksgiving was wonderful. Thank you so much, Maria! I hope you had a wonderful Thanksgiving, too! Thankful for good health and to still be able to read fine print. You all are new authors for me. Hi Kim! Great to still be able to read the small print! So many of my readers are having issues with that, I made the prize a large print copy! Ah, good one, Kim! I cannot read the fine print so much anymore, thank goodness for Kindle so I can enlarge it!! These Authors are AMAZING you will love them! Thanks for sharing, Kim. I hope you get to read our books. Alexa and Autumn are awesome authors. I am thankful for each of you authors! I get to forget about life when I have time to curl up with a book. I am thankful for God sending His son to save us from our sins. I am thankful for my hubby, my 2 boys and their families and my 4 grandchildren. Looking forward to seeing the family at Christmas when we get to spend a couple of weeks with them. Wonderful blessings, June! I hope you have a lovely Christmas with your family. Awe, that sounds beautiful, June! Bless you! I’m thankful for my children & grandchildren–and my dog! Lovely, Barb. What sort of dog is it? Pets can be such a blessing! That is precious to include your dig, Barb! They are family too!! I am thankful for all the God gives us, friends, family, a roof over our head and food on our table. For us Thanksgiving is turkey, stuffing, masked potatoes and veggies, this year it was brussel sprouts and asparagus, homemade cranberry sauce and pies for dessert, apple and pumpkin. I made a lasagna just in case we ran out of food! Growing up Italian we always had lasagna too!! Love that, Nancy!! That sounds wonderful, Nancy! I hope you had a lovely day. Sounds like a wonderful meal, Nancy. Thanks for sharing. I am thankful for my husband, our 4 children, my family, friends and the book community! I am looking forward to a wonderful meal of turkey, sides and pies for dessert! Thank you, Shannon, for sharing! I adore the book community as well! So much to be grateful for, Shannon! I hope you enjoyed a wonderful day yesterday. Thank you for sharing, Shannon. Hope your Thanksgiving was wonderful. That hope He blesses us with is just the most amazing thing. Thank you for the reminder, Jan. I hope you’ve had a lovely day. I love everything you said, Jan. Thank you so much for sharing, and best wishes in the giveaway! Having lost our son a little over 1 month ago I am especially thankfull to my Lord and Savior who has comforted me so during this time of loss. I am also grateful for friends and family who have surrounded us with prayer, hugs, kindness, meals, gifts of love and shared memories! Know one realizes how much this has helped us muddle through! We are blessed! Hugs, Pam. Praying for you. So thankful you have the support of friends and family, as well as our ever-present Lord. Prayers for you and your family, Pam… I am so very sorry for your lost. Pam, I’m so very sorry for your loss. Praying for you. So sorry for your loss, Pam. Only because of Jesus can we walk through the valley of the shadow of death. May He be your constant comfort for the road ahead. I am thankful for salvation though Jesus Christ. We received not what we deserve but the blessing of knowing His blood covers all of our sins. We will share our table with our children and grandchildren. We will have the turkey but also rolls made with a recipe handed down for generations. Amen, Cathy! Hope you enjoyed all your family and those rolls!! Amen, Cathy DeYoung! Very well said! And those dinner rolls sound yummy. Amen, Cathy. Hope your Thanksgiving was awesome! I will be enjoying the traditional Turkey and stuffing. I am thankful for family although we won’t be all together to celebrate. My Brother in law has battled many health problems this year but we are thankful he is still with us and is recovering well. I am also thankful that my Mom is still with us after 6months on Hospice she has remained stable enough to be discharged. Ah, Bev, prayers for you and your family! Hope things improve greatly! Praying for you and your loved ones, Bev. I’m thankful for three fun sons and wonderful parents. I’m not sure what I would do without them. I’m very blessed. How lovely, Lynette! Thank you for sharing! I hope you had awonderful family day yesterday, Lynette! We had all the traditional stuff, turkey, dressing, mashed potatoes, sweet potatoes, deviled eggs. I definitely am thankful for the fact my Mom is still with us after 6months on Hospice. She has been so stable she has been discharged from their care. She has a wonderful team of caregivers who take care of her needs and are the main reason she is still here at home. The other part is my Dad’s loving care while we don’t have caregivers. It’s such a blessing knowing good care is there for your mom. Thanks for commenting again, Bev. Thank you for sharing, Bev. How wonderful that you could spend thanksgiving with your parents. How nice you didn’t have to fuss, Chris! Hopefully you will have the chance to see your daughter and family over the Christmas holiday! Stay safe in the snow! Thank you so much for sharing, Chris! So sorry your daughter with her family were unable to join you this Thanksgiving, but I hope you still gad a great Thanksgiving. Best wishes in the giveaway abd stay safe in the snow! Wise to stay safe, Chris. And taking your mom out to dinner is a lovely idea. I hope you were able to enjoy the time together without the distractions of cooking and cleaning up afterward. And also praying you can see your daughter and her family soon. Thanks for sharing, Chris. All the best in the giveaway! We have the all American traditional Thanksgiving dinner: Turkey, stuffing, mashed potatoes with gravy, yams (not a fan), scalloped corn, green bean casserole, dinner rolls, cranberry sauce and homemade pumpkin pie (don’t forget the cool whip!). I look forward to it every year! Thank you for such a wonderful post and sharing what you are thankful for and all the yummy food you are having, also for the generous giveaway chance for PRINT books ( I adore those)! Hope you all had a blessed happy Thanksgiving! Thank you, Trixie, for the sweet words! I too am so grateful for the wonderful stories these authors provide us with! Thank you so much for your kind words, Trixi, and it’s truly our pleasure to do this giveaway. And I love your Thanksgiving dinner. We had the same, plus ham, pecan pie, apple pie, fruit salad, and cookies! Thank you for appreciating that. I hope you and your family had a lovely day yesterday. Thank you for sharing, Trixi. That Thanksgiving dinner sounded awesome! All the best in the giveaway. I am thankful for my relationship with Jesus Christ and for my family and friends. We had a ‘typical’ turkey dinner today. Same here, Anne! Now we have the leftovers for the weekend! Thank you for stopping by! Thank you so much for sharing, Anne! We had a typical Thanksgiving dinner, too, and lots of it! Jesus is the biggest thing of all to be thankful for, I so agree, Anne. I hope you and your family enjoyed a happy day. Absolutely, Anne. Thanks so much for sharing. I am thankful for my family & friends. I’m especially thankful for the time I get to spend with my grandchildren. We had filled flank for Thanksgiving because my husband doesn’t like turkey. Hi, Christine! I am not a huge fan of turkey either, but hubs is! So glad you were able to spend time with your family! Thank you so much for sharing, Christine! I hope your Thanksgiving was wonderful! I’m so glad you enjoyed family time for Thanksgiving, Christine! Grandshildren are a wonderful blessing. Grandchildren time is the best, Christine! Glad you got to spend time with yours. Thank you so much for sharing this with us! I echo your prayer Alexa! And yes, I think we need to be grateful for so many little things we take for granted… like the chance to live and love! Thanks for your comment, Paty. I trust your Thanksgiving was special. Thank you, Paty, for sharing! I agree, we take so much for granted, it is important to take a step back and be grateful! It was truly our pleasure, Paty! And so true, we need to be grateful for things we often take for granted! I’m thankful for faith, my loved ones and toe socks! We had turkey and ham on our table, ham is my favorite. And lastly I’m thankful for my elliptical that way I can eat my fill and sweat it off later lol. Hi, AD! Love the toe socks!! I can never get my toes in them correctly though, LOL!! Love that Epic Writers greeting, too! We had turkey and ham, too. One year we didn’t have ham, and everybody was asking for it! LOL at both the toesocks and the elliptical, AD! So true! You are so fortunate, Dawn. Enjoy every moment with them. Hope your Thanksgiving was awesome. Enjoy every moment with them, Dawn!! That’s a big one to give thanks for, Dawn! I hope you enjoyed a wonderful Thanksgiving. Hello, Gladys! I love reading all these comments! So many wonderful things people are grateful for. Thank you so much for sharing! A wonderful list, Gladys. I hope your Thanksgiving Day was blessed. I’m thankful for my husband who has been there through the good and the bad. Without him I don’t think I could have made it through losing a child last year. Terri, I’m so sorry. Praying for you and your husband. Hugs, Terri. Condolences on your loss. Praying for you and your husband. Oh Terri, my heart goes out to you. Praying for you. Only He can give strength to walk through the valleys of life. I too live in South Africa, like Marion does, and have never celebrated Thanksgiving but have always wistfully watched Thanksgiving being celebrated on American movies or read about it in novels and always felt that I was missing out, wishing it was celebrated in this country too! In fact, I think one day a year set aside for Thanksgiving should be celebrated everywhere! Maybe one day I’ll be lucky enough to be invited to someone’s traditional Thanksgiving celebration and finally get to experience it. Or maybe one day I’ll just start my own Thanksgiving tradition! I am very grateful and thankful to the Lord for carrying me through the worst last 12 years of my life and for always providing, knowing with assurance that I am never alone and am always held by Him. That is lovely, Candace! I think it would be amazing for you to start a tradition! Candace, I wish you could have Thanksgiving, too! It’s such a wonderful tradition. Agreed on it being a wonderful tradition, Candace. Maybe we should all choose a day to especially celebrate giving thanks. Praying your next twelve years are easier. One day a year internationally to be thankful sounds like a wonderful idea, Candace. Where in SA do you live? I am thankful for all the years I had with my parents and the values they instilled in me. Also so grateful to God for creating me and for sending Jesus our redeemer. We had our turkey dinner yesterday as I had to work this evening. My daughter and I make the pies together and like to try new recipes. This year we decided to make Chocolate Chess Pie and it was a big hit! Oooo, anything chocolate sounds amazing! Thank you for sharing! I’m glad you still enjoyed a celebration meal, Jean. That pie sounds wonderful! I am thankful that my family and friends are all healthy. I love the green bean casserole that is on the Thanksgiving table. Thank you for sharing, Deborah! I love those green beans too!! Hello, Deborah! Thank you so much for sharing! And green bean casserole is one of my favorite Thanksgiving dishes! I hope you had a lovely meal, Deborah! Thank you for sharing, Deborah. I am so thankful I get to spend another holiday with my family. I am especially thankful that includes my parents who are 90 and 93. I am very grateful they are still in my life and my children’s lives. That is so wonderful, Lori! Your family is blessed!! Hello, Lori! That is truly so wonderful! I hope you had a wonderful Thanksgiving with your family. Oh wow, Lori! What an amazing blessing! I hope you and your loved ones enjoyed a wonderful day yesterday. Enjoy every moment with your parents, Lori. What a blessing. Thanks for sharing. We ate with my mom who is in a nursing home. We had a traditional Thanksgiving dinner there. I have so many things be thankful for. That is wonderful that you were able to do that, Terry! Thank you for sharing with all of us! I hope you and your mom enjoyed each other’s company on this special day, Terry. How wonderful, Terry. Thanks for sharing. Oh no, Linda! I hope they are able to help you now that they know – praying for you! Thank you for stopping by, Linda Kish! And wow on five months! I hope the doctors will be able to tak care of it now. Oh my! Praying your ear problem is now getting treatment, Linda! Thanks for sharing, Linda. Hope you’ll be able to get the necessary treatment now. All the best in the giveaway! I’m thankful for life, love, and Christian Romance. Seriously, I am addicted to these books. I’m also grateful for another Thanksgiving with my grandparent, whose health is declining rapidly. God has blessed me abundantly, and I have nothing to complain about… well, unless the authors go on strike! Yikes, Adrianna, what a catastrophe a writes strike would be! !Thank you so much for sharing and I will keep your grandparent in my prayers! Thank you so much for sharing, Adrianna! And Christian romance authors are very thankful for readers like you! I hope you’ll have many more Thanksgivings with your grandparent. No danger of us going on strike, Adrianna! We all have far too many story ideas lined up waiting their turn, and too many characters nagging us to write their stories! How wonderful for them to help you, Susan! I will keep you and them in my prayers! Glad you had a terrific Thanksgiving dinner, Susan! And how kind of them to help you. Thank you very much for sharing, and best wishes in the giveaway! Susan, I’m so glad you’re getting such good support from your church families. That’s a wonderful blessings when we’re less able to do these things for ourselves. It’s our pleasure and honor to give readers good Christian fiction, Susan. Thanks for sharing. I know, right? I am so grateful I found many an awesome author through series like that and A Tuscan Legacy…. Box set too! The Potter’s House is an amazing series! So glad you’re discovering new-to-you authors, Regina. Thanks for commenting, Regina. Glad you’re reading The Potter’s House books. I’ve just released my second one, Recovering Hope. How fun to read the different stories of giving thanks and eating a lot.. even if it’s not during Thanksgiving. Like the authors, I’m not American (north American anyway) and yesterday was just another regular day in the office. Nevertheless, having lived in the US for a few years, I’ve had my first chance to host Thanksgiving dinner when some of my friends and I got stranded for the holidays (by too much snow and unforeseeable circumstances). It was fun and unexpected (my husband managed to run to the store and grab the second to last turkey on the shelve and the other girls managed to cook/bring whatever they usually had with their families that made the meal taste like home for them). We ended up with a full meal. Other years we just had dinner with our church family who “adopted” us during our time around. A lot easier I must say, but equally meaningful and fun. What a fun and interesting story, Priscila! Loved reading it. And wow on getting second to last turkey. I’m glad you ended up with a full meal and that you made it all fun. Thank you very much for sharing! That sounds like a fun and adventurous meal, Priscila! And yes, I can imagine Thanksgiving is deinitely easier when you’re not the cook! What a sweet story, Priscilla! I love how people come together to make the time special! Hope everyone had a wonderful Thanksgiving! We are having a second Thanksgiving with our family on Sunday because my daughter spent the holiday with her husband’s family. Which brings me to what I am grateful for: my grandchildren! I am grateful that they are being taught by their parents to love God. Thank you, Betty! I did have a great Thanksgiving. And your grandchildren sound wonderful. Thank you so much for sharing! Lovely to get a double Thanksgiving, Betty. And so true – the biggest and best gift parents can give their children is to teach them to love and honor the Lord. I hope you and your family have a wonderful meal together on Sunday. How wonderful, Betty, that you get the see your family!! Thank you for sharing! That is such a blessing, Betty 🙂 My little grandson lives next door and has breakfast with us every morning because my hubby drops him at preschool on the way to work. As he’s running out I tell him I love him, and he shouts back “I love you too,” and then quickly adds “Jesus loves you too.” It’s wonderful to see them growing up to know and love Jesus. I am thankful, above all, for my salvation! Thankful, also, for my husband and children/grandchildren and our many friends. Thanksgiving this year was just my husband and me, so we kept it small with a turkey and just our favorite sides. He requested homemade apple pie and pumpkin pie, so we have plenty of desserts right now! A lovely gratitude list, Diane! And I’m sure your husband is enjoying your homemade pies! Sounds like my day too, Dianne, just need and hubs! Hope you enjoyed it! I am thankful for a very blessed day yesterday with all of our boys and their families. We have 3 grown sons and 7 grandsons and are about to gain 2 step grandkids. God is so good to us and we have been so blessed. Today, my husband and I have just rested as we have worked really hard preparing for our big meal for the last two days. I am thankful for the opportunity to serve the Lord alongside my husband here in S.C. He pastors a small church. I retired this year due to problems with my back and am enjoying being a more active role in the ministry with him. I’m thankful for authors like you that write good, clean Christian fiction. It is a ministry in itself. It is an encouragement to me as I’m not able to get out and do a lot anymore but I love to read. Thanks for all you do. God bless you and yours! Jamie, I totally agree with you on being thankful for these wonderful Authors!! Glad to hear you had a great day! Thank you for sharing, Jamie. I only have two grandsons and love them to bits. You certainly are blessed. All the best in the giveaway! I’m glad you had such a blessed day, Jamie! But I can imagine the preparation and clean-up after such a big family gathering would be exhausting. Praying for your health, and your ministry. God gives each of us a unique mission field. It’s an adventure discocering how He wants us to best serve him! I very thankful for my faith, family and friends. Also thankful for clean Christian authors and give-aways like this one. Amen, Ellen! Thank you for stopping by! And we’re thankful for readers like you, Ellen! Thank you, Ellen. All the best in the giveaway! So thankful for time with my family. Thankful for a God that answers prayers. With that said, I am asking for prayer. My lupus doctor is trying to get me into Vanderbilt Hospital in Nashville to see a Pulmonary Specialist who specializes in Pulmonary Arterial Hypertension which is deadly. They are trying to buy me time. Please pray for this to come through soon. Thanks for all the prayers! I’m praying for you and for the right medical care to be provided very soon, Joy. Hugs! Praying for you, Joy. May you feel God’s presence close to you. Thank you for sharing. We had a nice, quiet Thanksgiving. Am thankful for the Lord, for family, and how the Lord supplies for our needs. Thank you, also, for the wonderful opportunity to enter a giveaway! Would love to win print copies of the 3 paper backs! Amen, Lual! I am so glad that you dropped in to share with us! I’m glad you have a lovely Thanksgiving, Lual. Thanks for sharing, Lual. All the best in the giveaway! The words I love the most when it comes to giveaways are “US only”. I’m joking of course since I am not an american citizen. At least I found some new great books to read. Thanks for the recommendations! You’ll be in the draw for ebook copies, Miriam! I hope that helps a little. Though we’re grateful for many blessings, sadly earning big $$$ from our books isn’t yet one of them! I know, Miriam, but at least you still have an entry for ebooks! Thank you for stopping by! I’m thankful for family & friends. So glad you stopped by, Tami! Best of luck in the giveaway! Thanks for commenting, Tami. All the best in the giveaway. I’m thankful my husband and I are in a position to have two of our grandbabies live with us while their parents fix some things. My hubby and I were alone for Thanksgiving (willingly) so I made a 25 pound turkey and a 10 pound ham. We ate the meat with a loaf of french bread. That’s all. All day. No sides. Though for breakfast we did have grapes, sunflower seeds, and pepitas. LOL, sounds like a fun menu, Nikki! And a lot less washing up! How wonderful, Nikki! My hubs and I do that often on a Sunday too…make a ham and eat on it all day long! Thank you for stopping by and sharing with us! If I had to take a moment to mention some of the things I’m thankful for, I’d start with God’s love, grace and mercy (only He knows how much, undeservedly, I’ve been needing and receiving them in my life throughout this year). I’d also give thanks for my family and all the support I’ve received (and keep receiving) from them. No, it’s not perfect, but it’s the family the Lord’s given me, and thus, I’m thankful to the Lord for continually teaching me how to love and appreciate them more with each passing day. To each of you, thanks. And last but not least, I’m thankful for my friends (the ones I’ve known for years and the ones I’ve met this year; the ones I haven’t seen in a while and the ones I get to see almost daily) to all of you, thank you for your friendship. And since I’m not from the US, I can’t properly talk about Thanksgiving food (though some pie is always nice, lol). Kidding aside, it was a regular Thursday with a pause to remember and be grateful. Thanks for the chance. Thank you so much for sharing, Priscila…. I appreciate you so much! That’s a wonderful post, Priscila! God is good. Thank you so much for adding it here. Thank you for sharing, Priscila. What a wonderful tribute! Thank you so much for sharing, Priscila! You will love Marion too, Louise, I promise!! Alexa and Marion are both wonderful authors, Louise! I don’t think you’d regret reading anything they write. I also have Poles Apart discounted still to today, Monday 26th Nov to 99c and my box set of the first 4 books in my Seven Suitors for Seven Sisters series discounted to $4.99. All the best in the draw. Awwww, Louise, you’re amazing! Thank you for being such a wonderful, wonderful reader! Hello! I have many things to be thankful for: My 84 year old Mom living nearby, my son and daughter-in-law living in the same city, my 2 cats, my home, my car, my good health, and a few close friends! Happy holiday season to you and your families! Lovely blessings, Linda! Thanks so much for commenting. It is such a blessing, Linda, to have family close by. Cherish each moment with your mom. So glad you have so much to be thankful for, Linda! Appreciate you sharing with us! Thank you so much for sharing, Linda Herold! Happy Holidays to you and your family, too! I’m thankful for this new day, for my daughter that brightens my day. I’m thankful for my family, friends and new friends I meet along the way. I’m also thankful to You, keep writing these wonderful, beautiful books. Thank you. Thank you for your kind words, Araina. Thank you for sharing. Amen, Ariana! I am so grateful for these authors as well!! Thank you so much, Araina. Glad you have wonderful blessings like friends and family in your life. And our books – we do pray with each that it will bless each reader it reaches. I’m so happy you find them blessings, as we hope. Araina, truly so much to be thankful for! And we appreciate your kind words about our books. Thank you so much for commenting! I am thankful for my wonderful husband & our life together. Amen. I can second that with my hubby, Beverly. Thanks for commenting. Indeed, Beverly! So many people are all alone….we have much to be thankful for in our life partner! So lovely, Beverly. I pray you have many more joy-filled years together. So great it is to have a wonderful husband. Thank you for sharing, Beverly, and best wishes in the giveaway! Thank you for stopping by and commenting, Mary. Thank you for sharing, Mary! Best of luck in the giveaway! We have a 17 year old cat, too, Timber. Despite being the eldest, he’s the fittest and most agile of our cats. He climbs right to the top of our cherry tree! Yay on 31 years and counting, Mary! And your cats sound wonderful. Best wishes in the giveaway! I am thankful for books that feed my hungry soul! We’re thankful that your soul is hungry, Janice. All the best in the draw. Thanks for commenting. Janice Moore, thank you very much for sharing! We’re truly thankful for readers with hungry souls. Best wishes in the giveaway! We have been married 35+ glorious years. In all that time, although it seems impossible, our love has only gotten stronger and bonded us together in ways that nothing could come between us. We have celebrated many high points and smiled and thanked God for them. However, we have also had many sad and tragic times from the normal interruptions in life like job changes to the earth shattering loss of our only child when she was only 17 in which we also thanked God for the time we had with her and for giving us each other to lean on during those hard times. I’m also thankful that the move is over and the moving boxes are no more. We moved last year to our dream destination – the Ozark Mountains – building our dream home. We greatly downsized so deciding what to take and what to dispose of was a challenge. Now that we are in and completely settled, I can’t think of a thing that we got rid of that we miss. It was our first move in over 35 years, so to say it was stressful may be a vast understatement. Thank that just makes the thanks giving all the great that it’s done. Our Thanksgiving feast was not the norm. It’s just hubby and I so we didn’t do the traditional turkey fair. Just not into eating leftovers for a month. Instead since the weather was pretty we had a wood grilled steak with baked potato and my Green Bean & Shoepeg corn casserole along with the very traditional homemade pumpkin pie. The green bean casserole puts a spin on what folks think of most when you mention green bean at holidays. Just in case you may be interested, I’m including the recipe. Below. 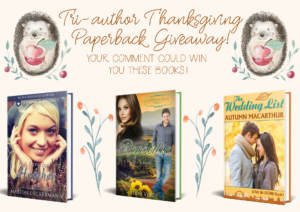 Thank you for the wonderful chance to win THREE fabulous book by some awesome authors! I would be beyond thrilled and consider my stocking filled if I were the fortunate one selected. NOTES: This goes great for a potluck dish. It’s great hot, warm, or room temperature. It never seems to make it to the refrigerator as leftovers but I’m sure it would reheat nicely too. I do hope your wonderful husband reads this, Kay. What an amazing blessing he sounds! The support of a loving partner makes such a difference when we weather tough times, as you have. And wowee on moving to the Ozarks! Praying your new home is all you hoped it would be, and more. Thanks for sharing the recipe, too. I imagine it’s always popular at potlucks! I am thankful for God, Peace, and Plenty. We had the traditional Thanksgiving dinner and lots of desserts. Thank you for the giveaway. You’re welcome, Judy. Thank you for commenting. Thank you for dropping by, Judy! Wonderful blessings, Judy. I hope your life continues to be blessed with peace and plenty. God of course, is with us no matter what! Thank you so much for commenting, Judy! Thanks for the opportunity to win in your giveaway! Thank you for participating, Susan! I’m thankful I am no longer married to an extremely controlling and abusive husband. I’m thankful for the air that we breathe, the food we eat and for God. I am so thankful for my 2 girls. I am thankful that I got to spend 6 months with my dad while I was in the U.K. I visited him for the holidays last year and was due back in the U.S. in January but was told he only had 4 months to live, that he had cancer and it had spread so through the support of friends I was able to stay longer and have that quality time with him. Thanksgiving for me was quiet this year. Normally I do the cooking but my ex took our girls away for the holiday so there was just me. I am presently renting a room so I have no means to cook but the people whom I rent from were kind enough to give me a plate of food, turkey, potatoes, green beans, the whole works. What a wonderful giveaway. I’m also thankful for all you Author’s whom give me a reason to read all your wonderful stories, it helps me during times of stress, just takes me away from everything for a while. Jane… thank you for sharing, I will be keeping you in my prayers… I have been through a divorce as well from an abusive husband…it has been 30 years, but the memories are always painful…God Bless you! Reading is a wonderful escape, Jane. So sorry you’ve been through such a hard time, but glad that our stories have offered you some respite. How kind of your landlord. All the best in the giveaway. Hugs, Jane! Praying you feel God’s loving support through this difficult time. Thanking Him for your safety and freedom. Jane, it’s heartbreaking to hear all you went through. Praying for you. Thanks for sharing, Charolette! Sounds like a lovely family time! Best of luck in the giveaway! Thanks for sharing, Charolette. All the best in the giveaway. I’m so glad you and your family enjoyed a lovely Thanksgiving, Charolette! Thanks for commenting, you’re entered in the draw. Thank you for commenting, Charolette! Your Thanksgiving meal sounds wonderful, and how nice about your brother’s newly remodeled home! Best wishes in the giveaway! Oh yes, Sandy, I know what you mean by old age pains!! Praying for your eye surgery!! Thanks for sharing, Sandy. Dinner sounds divine! All the best in the giveaway (and for your surgery). Praying for your cataract surgery, Sandy! Your Thanksgiving meal sounds wonderful. So glad you were able to enjoy it. Thank you for participating, Laura! Thank you for entering, Laura. All the best in the giveaway. Best wishes in the giveaway, Laura! “Grateful, thankful and blessed…” The best way to feel! Thanks for commenting, Laura. I’m thankful for surviving rolling my car on November 15 (black ice. ALWAYS WEAR YOUR SEATBELT-airbag did not deploy) and that my brother is giving me his 2006 Toyota Sienna to replace my 2002 Buick Century. Oh my goodness!! I am so glad you are okay! Great advice, Barbara….I won’t start the car till everyone is buckled up! Oh my, Barbara! I am thankful, too! So glad you are safe. And what a great brother you have. So important to wear seatbelts. I’m so grateful you shared this. It could save the life of someone reading it! Oh, no, Barbara! That must’ve been horrible! So glad you’re okay. And your brother is truly great. The giveaway is now closed! We’re very thankful to everyone who commented and loved reading your comments. The winner will be announced soon. Our apologies for the delay, but we were waiting on the reply from the winner after the email and then the follow up email to the winner were sent. We did a new draw right now. Lisa Stillman, you’re the winner! We’ll contact you shortly with the request of your mailing address. Thank you all! Merry Christmas! Congratulations, Lisa! Looking forard to sending your gift!